The wife of Francois Fillon will be charged as well as the French rightwing presidential candidate over allegations that he gave her fake jobs. 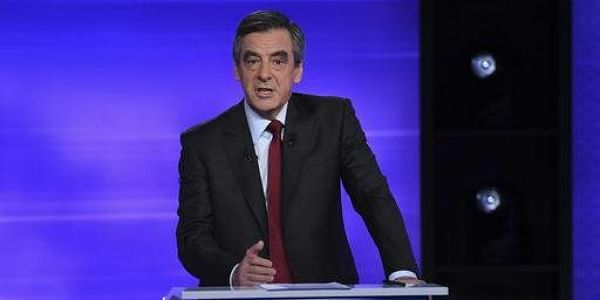 PARIS: French conservative Francois Fillon on Wednesday refused to abandon his presidential bid despite announcing that he faces criminal charges of fraudulently placing his wife on the public payroll. The 62-year-old former premier was favourite at the start of the year to win the presidency after clinching the nomination for the Republicans party in November. But he has since been hit by a series of allegations that he paid his British-born wife Penelope and two of their children hundreds of thousands of euros since 1988 for allegedly fake parliamentary jobs. Following are key quotes from his announcement. "I won't give in, I won't surrender and I won't withdraw." "I will go all the way because, in addition to myself, it is democracy that is being challenged." "I do not acknowledge the accusations. I have not embezzled public funds." "Like nearly one third of lawmakers, I entrusted work to my family because I knew I could count on their trust and their abilities." "They indeed assisted me and I will demonstrate that." "The preliminary investigation was opened in a few hours (after allegations by satirical and investigative weekly Canard Enchaine in January)." "It is unheard of... for a summons... to be issued only a few days after judges are designated, before they have studied the dossier or carried out further investigations." "That I am not being treated like other defendants can be seen simply in the choice of the date March 15, two days before the close of sponsorships, entirely calculated to stop me being a candidate for the presidential election." "Many of my political friends... speak of a political assassination." "The presumption of innocence has entirely and completely disappeared." "I submit myself before the French people, because only the ballot box, and not an investigation directed against me, can decide who will be the next president." "From now on I appeal to the French people and them alone, to those who support me as well as those who fight me." "It's not about me... it's about you, whose sovereign will cannot be cancelled, annihilated, destroyed." "France is greater than my mistakes... greater than the bias of much of the media."